Hi! My name is April Burson, Owner of My Three C's! I'm a mom, a wife and a wannabe YouTube video personality, blogger, furniture and home décor guru, an Air Force Veteran, and a native Texan. My Three C's is a furniture refurbishing company located beachside in wonderful Brevard County, Florida. More than a decade ago, armed with a paint brush and a feeling, I started my first furniture project. A lone, hand me down nightstand became my first ever shabby chic refurbish. 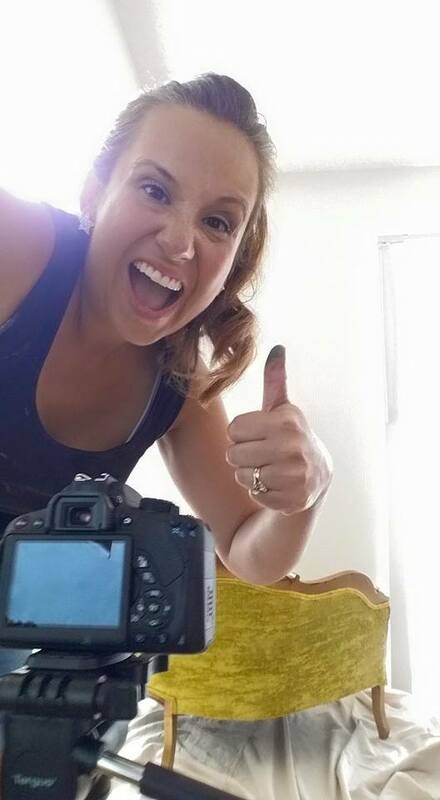 Little did I know, way back then, my life would come full circle and I would be repurposing old furniture, and making DIY videos for a living! I draw my inspiration from my home state as well as from countries I have lived and traveled. Europe was my biggest inspiration! Some of the places I have been include 20 U.S. states, and 13 countries with the top 5 overseas destinations being England, France, Spain, Austria, and Italy. My Three C's has been in existence since March 2011 and started as a sewing and craft venture while I was living in Montana. It was then that I began blogging about my DIY projects and the decorating of my 1930's farm house. In 2012 my family and I relocated to the beautiful Space Coast of Florida! Items now range from Refurbished Furniture, Upcycled Junk, Vintage & Antique Sales, Home Décor, and Handmade Crafts. Staying connected to My Three C's is easy! I am on every social media site you can think of! Find me on Facebook, Instagram, Twitter, Pinterest and of course, YouTube!